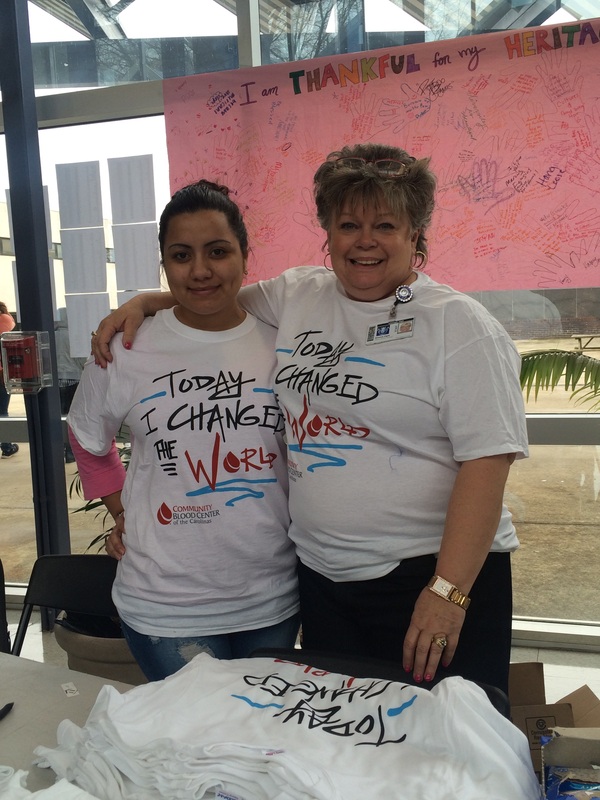 Mitzel Parra (left) and Ms. Ogle led a blood drive at Garinger High School March 9, collecting 67 pints of blood. With the help of Mrs.Ogle, Mitzel Perra and dozens of students, Garinger’s 2015 Blood Drive on March 9 was a tremendous success. Thanks to our brave and generous students and staff, 67 units of blood was collected, which will benefit more than 200 people who have suffered traumatic injuries. Mrs.Ogle, who has been a nurse for 38 years, set a goal to collect as much blood as possible because it is such a critical need in our community. More than 90 students donated blood. Others who volunteered to work at the event include Solomea Asfaw, Karen Escobar, Tangela Gallman, Sofia Lopez, Hinin Sin Oo, Flor Lovo, and Summer Williston. A big “thanks” from Ms. Ogle to everyone who participated in this year’s blood drive.